This unique contemporary account of Haig’s GHQ gives a vivid insight into life in Montreuil-sur-Mer from 1916 onwards, and of the complexity of the planning the ultimate defeat of the German Army. 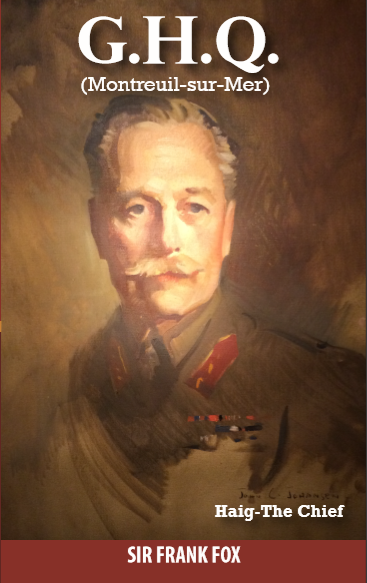 The addition of the never generally published statistical summary of casualties, ammunition and supplies adds to the appreciation of Haig’s achievement. “This remarkable book details what life was like in my Grandfather Haig’s GHQ as the final defeat of the German Army was planned. Haig’s farsightedness in promoting Education was a precursor of his dedication to the welfare of soldiers after the War. Its republication, together with statistics -never previously seen- are an index of the enormity of the task that he orchestrated.” The Rt Hon Lord Astor of Hever Former Defence Minister.